This month, we sat down with Tilly Cefai to talk all things timber, find out what she’s loving, what the next trends are and some top timber tips. What are your top tips when it comes to selecting timber? The best thing to happen to flooring is the introduction of engineering technology to timber floors, making them more affordable and more sustainable, not to mention much more stable. When selecting timber, look for a crossply or crossbirch substrate, which helps with stability and movement. Don’t compromise on quality, its really not worth the pain. Look at the thickness of the wear layer, never consider a 10mm thick board with a 2mm wear layer, and always check the grade of the timber. Boards should be no less than 12mm thick with no less than a 3mm wear layer and, if you want to avoid seeing unattractive large black knots, make sure the grade is ABC only. Or, for cleaner lines ask for Select Grade. What colour are you loving this season? This season there is no doubt that the mid to light tones were “on trend”. I particularly loved those that were infused with light and dark greys. For me my favourite colours from our products would have to be the Spiaga for a mid tone, the Moschino for a darker tone and the Pebble Grey for a lighter tone. These colours suited any application and allowed for many design options. What do you think the next timber trends are? As we constantly review upcoming trends, I think we’ll see warmer, softer and darker colours back. Though our love affair with cool colours will be around for quite a while yet! 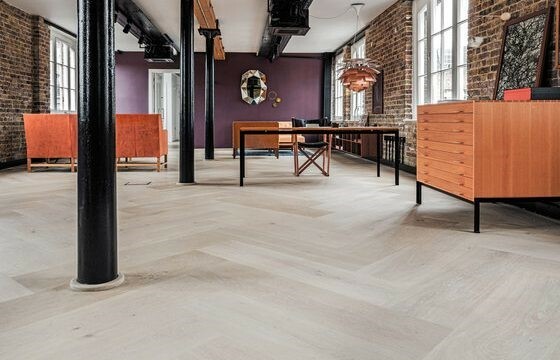 Parquetry is certainly making a big comeback, with Herringbone, Chevron and bespoke designs now being used in many different application from residential, to commercial and certainly hospitality. What is your advice for people designing small spaces? Just like the rule of thumb with tiling, larger tiles will give the illusion of a small space appearing larger, the same applies to timber! Depending on the space, there is no reason not to use a floor width of up to 220mm wide. Think of a small bathroom. Put small tiles on the floor and you immediately bring the walls in, making the space actually look smaller. The reason is too many verticle and horizontal lines are too busy and cut the space, preventing a good flow! 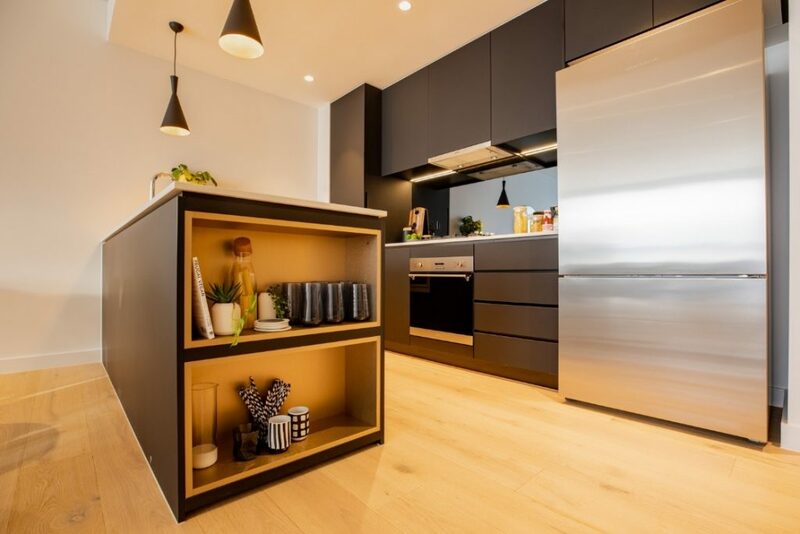 With open plan living, even in a smaller space create a seamless flow with a larger format. What do you wish designers, architects and developers asked you more? We are in an industry that is forever changing with new colours and styles and the creation of exciting designs. I would love our wonderful design community to ask us how we can help them to realise their design aesthetics. We are very fortunate that we are able to customise most of our floors to our clients specification in colour and size, like we did recently for Sofitel, which you can see in our case study. Of course, we have a standard range, but we are able to do so much more! We collaborated on a project recently for Frasers Property where we created two new colours. I would like for more collaboration with developers, so that we can customise our floors to meet their specific project brief! For Frasers, we customised the two new colours to meet their existing project colour scheme. You can read more about that in our case study. I have two actually. I am a big fan of parquetry, so, of course our Giant Herringbone is spectacular. The other, which has not been taken up as much as I would have thought is our Chalet, which is a big favourite in Europe consisting of random width board from 120mm-300mm. I think both create a big impact. Do you have a favourite project that you’ve worked on so far? Edmondson Park – though only the first stage, it was easy working with Frasers who took on board our suggestions and Rice Daubney with their great designs for the estate. 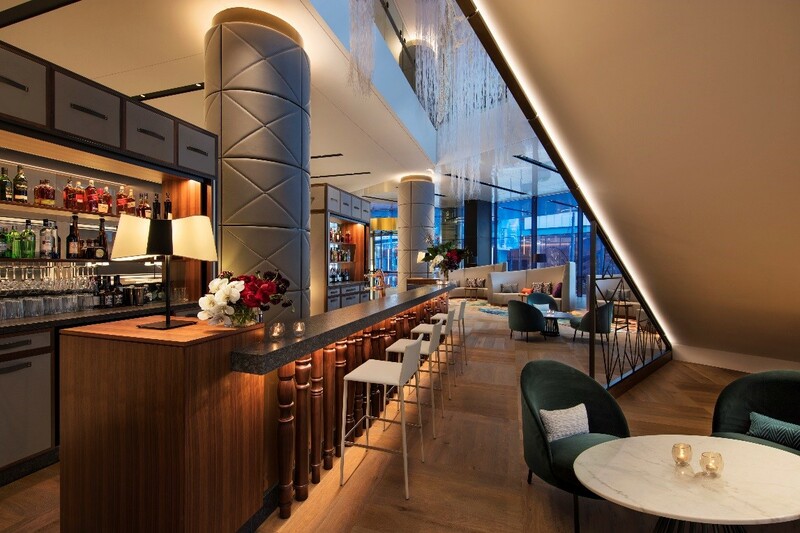 And, of course, the stunning Sofitel at Darling Harbour. Working with Aplus is always a joy. They are inspirational and we strive to offer them the same level of perfection from our end as they deliver to their clients. Any other advice that people should know when selecting timber flooring for their projects? Often it comes down to colour and budget! Don’t hesitate to ask what options are available other than what you see on a website… you might be surprised! To discuss your next project, get in touch!